Last week, I wrote a couple of posts on learning anything and because they were soooo loooong I've decided to give you a more concise version you can use with your students or teachers or trainees or whomever you wish. I hope you find the 10 Secrets To Learning Anything Infographic above useful, and if you do, and you think it might be useful to someone else, pass it on! Oh and by the way, I wrote a short 42 page book explaining each secret in detail using brain science and 15 years of being in the grind. High school students and teachers will enjoy this easy read full of practical ideas and examples of how to build skills that help in school and last a lifetime. 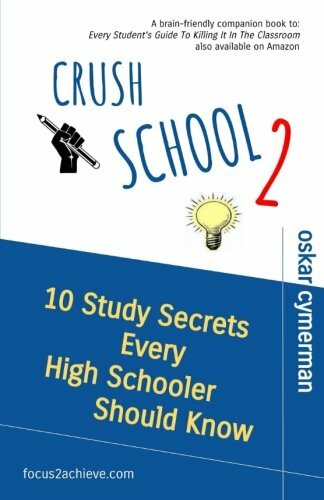 It's called Crush School 2: 10 Study Secrets Every High Schooler Should Know and it costs $4.95 on Kindle. Get it here.